Customer feedback is extremely important in helping us make key decisions about what changes to make to our site, product ranges and service offer. Your comments would be very welcome so please feel free to have your say about Modelli. "Just received my four 65x65 cm cushions. They are beyond fabulous, fabric is beautiful, and the quality is top quality. Could not have asked for anything better, and will definitely recommend Modelli's to friends and family." "I asked for some samples on Monday. They arrived Tuesday. I ordered the fabric Wednesday and it arrived Thursday. Amazing service. Thank you so much." "Thank you for the samples. You sent them very quickly, so you obviously care about customer service and satisfaction." "I received my fabric from you yesterday, and I would just like to thank you for your excellent service, from first receiving my samples, to the ordering of the fabric, and the quick delivery. Also the way I was kept informed of when my fabric was dispatched, which helped me greatly by organising someone to be in to receive it. I will certainly use your company again, and will recommend you to all of my family and friends." "Just wanted to let you know I now have my newly re-upholstered 3-piece suite in situ and am delighted with the fabric. It looks really great and I am sure will be hard wearing. I have just completed an order for four of your cushions in a toning fabric so am looking forward to receiving those to give it the finishing touch. Thanks once again for your faultless, prompt and pleasant service. I am so impressed with both that and the quality of the fabric and will certainly recommmend you to any of my friends." "Thank you!! At last a website that sends free samples! I am so fed up of wasting money buying samples that look nothing like the screen image. I will remember you in future!" "What outstanding service. I only ordered my fabric at 2.45pm on the 19th April and it arrived around 3pm the following day, excellent. Should I ever require anything again you will certainly be first on the list. Well done all, and many thanks." "My fabric has just arrived and I'm absolutely delighted with it! 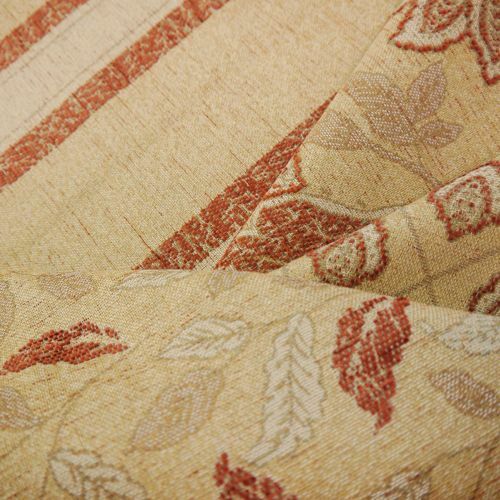 I had been looking for some time for suitable fabric to cover two much loved armchairs. I could not find just the right thing until now - I can't wait to start work! Thanks for the prompt despatch of samples and now for the equally prompt arrival of this fabric." "Just a quick thank you for the fantastic service I received from your company. The fabric is lovely too and my dining room suite looks as good as new now I've recovered the seats!" "I received the material this morning and I'm delighted with it. I would like to say how much I appreciate such a pleasant and efficient service and certainly wouldn't hesitate in recommending you to anyone. I'm also very impressed with the variety of materials you have in stock. Thanks again for such a prompt service." 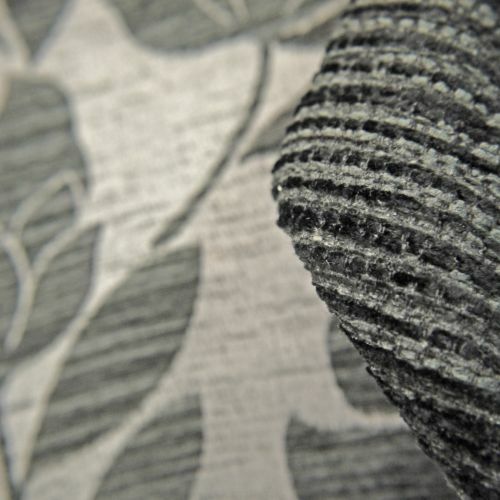 "What amazing service - I ordered after lunch yesterday and received the fabric first thing this morning. Thank you so much! Will happily recommend." "Thank you for a great service. I ordered a couple of samples on Sunday which arrived on Tuesday. Following that I ordered the fabric which arrived this morning (Thursday). The material is partially to recover a well loved seat for my father, and I was expecting it to be a long job getting hold of the covering. Modelli Fabrics has gone a long way to make this a whole lot easier. Keep up the good work - a very satisfied customer." "The order arrived safely on Friday - I'm very pleased with the cushions - they look lovely on the sofa and my cats have given them the seal of approval too by curling up against them! Many thanks for your excellent service from start to finish. Never stop doing the sample service - that sets you apart from other firms who won't supply samples or who charge ridiculous amounts of money for them"
"I ordered some of your samples - they arrived very quickly. We liked them so much we ordered 12 metres. You filled the order and sent it in less than 2 days. The material is a very good quality. Very impressed by the speed you sent it." "Just a big thank you - the material has arrived and I love it!" "I wanted to thank you for my fabric which I received recently. Great quick service from your company"
"I ordered some material and two cushions. I was so pleased when the material came the next day but the best was yet to come. My cushions are such good value and quality. Thank you so much - I will definitely use you again and will pass my experience on to others with pleasure. I do not as a rule comment on purchases - but this was 1st class." "Could I just say how delighted I am to have found such a reliable and efficient online fabric supplier. From the prompt arrival of the samples I knew I was on to a good thing! Now that my finished upholstered armchair is in situ I am thrilled to say the least. Next project is a matching footstool! Well done Modelli Fabrics - keep up the good service"
"Our order arrived in record time- brilliant -thank you very much !!" "The seat cushions and other cushions have arrived and are beautiful! Thank you so much - I am absolutely delighted with them!" 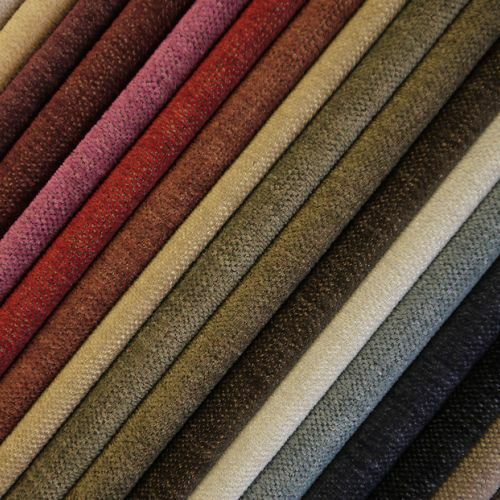 "I found your website after a google search for upholstery fabrics and was impressed by your swatch service, which quickly confirmed the quality of your fabrics! My many queries about getting fabric sent directly to the factory where my sofa was being made and also asking for a custom made cover for an existing footstool, were very adequately answered by your dynamic customer enquiry service, with responses often received by return! Initially there was a slight miscalculation with the footstool cover, but once again this was efficiently sorted out with the minimum of hassle. "I am now delighted with my new sofa covered in your beautiful fabrics, with my equally beautiful and matching, recycled footstool! I would have no hesitation in both recommending your company to others and using you myself for future projects. Thank you very much"
"I just want to say how happy I am with my recent purchase. Your sales effort and fabrics are the best. When looking for a fabric I contacted several firms. You were the first to contact me and the samples came very quickly. Also the fabric came very quickly too. Even while I was covering my chairs samples were still coming in from other suppliers. When I had finished the job after almost two weeks another sample came in - these people don't deserve to be in business." "May I thank you and all at Modelli for the incredible service I've received. I sent for samples on Tuesday afternoon, these were received Wednesday morning - I placed the order on Wednesday morning and received it on Thursday. I ordered some samples from another company at the same time and have yet to receive them"
"Yesterday I ordered fabric from you at 12.30 pm. Today at 11.30 am it arrived here in Dorset ! I can't tell you how impressed I am at that. It is very unusual these days to be able to write to a company in pleasure. So often it is one of complaint. I would like you to know that from the outset of me contacting Modelli in December for samples of fabrics I have received nothing but splendid service, personal attention and complete delight in the product. Your fabrics are both elegant and amazingly affordable. I have found nothing that compares with your prices - in fact the cost of my fabric is under half that quoted by other companies. Naturally I am delighted! The only fault I can find is that you are not yet as well known as you should be - I am spreading the word here in Dorset as you deserve every accolade. Only one small problem - I now feel I want to refurbish every room! I should be very happy to know that I have shared my delight in your company with anyone else out there who, like me , started out not knowing where to turn for material. One very satisfied customer who will be returning!" "I was delighted to find Modelli Fabrics after an extensive search both online and in retail outlets for furnishing fabrics. The website is delightfully user-friendly and the range and price of fabrics is second to none. The velvet fabric I selected was less than half the price being sold by a famous retailer. With each order I received expert, personal service and have been delighted with both the quality of fabric and its wearability. I have two retrievers who sit on royal blue velvet and I can remove the dog hair in seconds. Modelli has also made me cushions for a 1930s Ercol rocking chair and a new cushion for a Regency sofa. All are superb. This company is a gem." "Just received my ottoman - thrilled to bits - it's lovely!" "Thrilled with the curtains! Thank you very much. Very good value for money and good service"
"The sofa was perfect...exactly like the style I had chosen with a very high quality finish. The fabrics were rich and luxurious and will last for ever despite the attentions of my kids! The advice and level of service from Tim was excellent. I would love to order more but I may not need another new sofa for many years to come"
"I've just taken delivery of the cushions that I ordered - they're really fabulous. Your service and products are excellent and I will recommend you to all my friends and family." "Thank you so much for providing such a great service. The fabric, cushions, price and speed of delivery were all very impressive." "Just wanted to say a huge thank you for the new cushions - they are absolutely fabulous - and as we often are more likely to complain than to say thank you for a good job - here it is - a huge thank you to your craftsmen / women for their work and to you for prompt service and good customer communication. I am absolutely delighted with both the product and the service and have already recommended you to friends. Thanks to everyone concerned." "I am pleased to say that all our re-upholstering is now complete. We are delighted with the end results, the quality of the fabric and the service you gave." "I have just had a three-piece suite covered in your fabrics and I am so delighted with it. Thought you would like to know !"